The security deposit is a familiar concept to anyone who has been a renter. Tenants pay the landlord a specific amount of money, typically one month’s rent or more. This is to be held by the landlord and applied to any amounts due at move-out. If the tenant has paid the rent and taken care of the property, the deposit should be fully refunded. A deposit may not be fully refunded for the following common reasons: damage to the property, unpaid rent or utilities, unpaid fees (such as fees for late rent), and excessive cleaning fees. Before giving landlords money for a security deposit, it is important to have a basic understanding of renter rights. Many states limit the amount of money a landlord can take for a security deposit. If the amount required seems high, check your state’s security deposit laws to see if that state puts a cap on the amount landlords can request. If your state has no maximum deposit amount, bring up any concerns before signing the lease and paying the deposit. Landlords may be willing to negotiate if you are a desirable tenant. When paying the deposit, ask the landlord for a receipt. This way the deposit can be traced if the landlord doesn’t keep good records. Make sure the deposit amount is clearly stated in the lease agreement. Ask the landlord where the deposit money will be kept. Some states require landlords to keep the money in an account that is specifically set up for holding deposits. Some states even require deposits to be held in an interest-bearing account, and all interest earned be given to the tenant after move-out. Most states have a deadline of 30 days or less following move-out to refund the security deposit. Before moving out, make sure the landlord has your forwarding address, phone number or email so you can receive the deposit refund. Contact the landlord if the refund isn’t received in a timely manner. Any deductions from the deposit should be stated on an itemized list, provided by the landlord. Smart renters take steps to ensure the security deposit will be refunded. Completing a walkthrough before renting is very important. A walkthrough helps protect renters against false claims against the security deposit. Renters should keep a record of pre-existing damages. Take photos of the condition of the property at move-in and move-out. Read Part 1: The Walkthrough. If you don’t receive a full deposit refund, or a partial refund, check that the landlord has given you the documentation required by the laws of your state to justify the withholding. 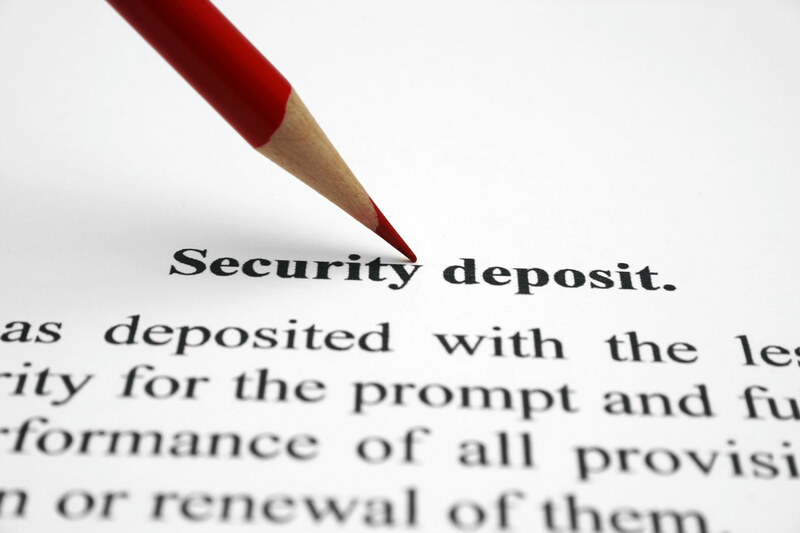 The laws of each state entitle renters to at least some documentation of deductions from the security deposit. If renters don’t agree with the withholding, or the landlord doesn’t provide the required documentation, contact the landlord to demand that he comply with the law. When the deposit is wrongfully held, certain states allow for punitive damages. If your landlord does not cooperate, consult a lawyer who is familiar with the landlord and tenant laws in your state. Stay tuned for Residential Lease Part 5: Utilities by subscribing to Discover!